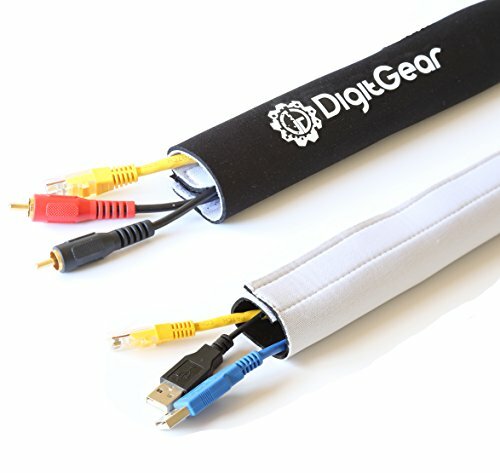 D-Line Cable Tidy Tube is the perfect way to hide cables and wires that drop from behind TV's or computer desks. 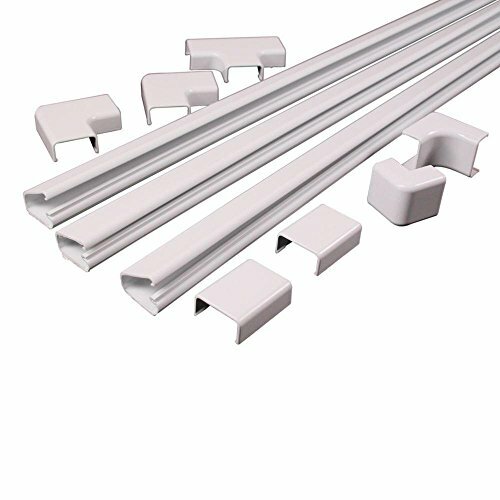 The tube is 3 feet 7 inches long so can easily cover the drop from popular desk heights down to floors. 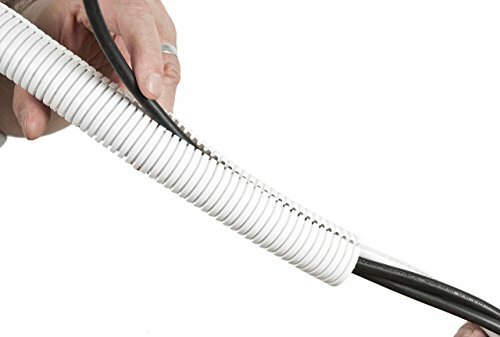 The Cable Tidy Tube can be shortened with scissors. 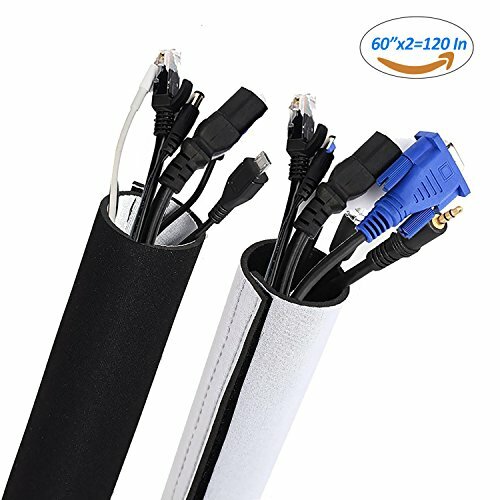 Specification: Length: 1Pcs 59*5.3In and 1Pcs 59*5.3In Material: Neoprene Colors: White, Black Features： Easy to Use -The cord organizers are very quick and easy to install. 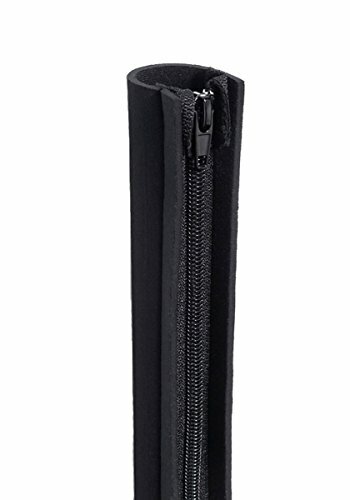 Cut individual sleeves to any desired length. 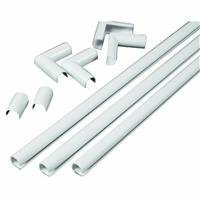 DIY holes can also be cut along the side of the sleeve to enable cables to exit where required. 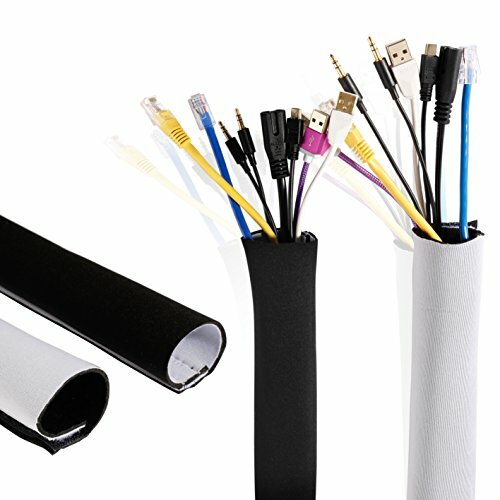 Sleeved cables are also much easier to maneuver around furniture than a tangled web. 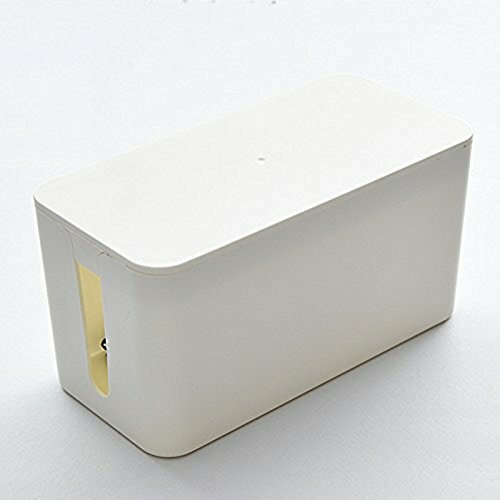 Package include: 1Pcs 59*5.3 In and 1Pcs 59*5.3 InNote: Not including the props products as shown in the picture. 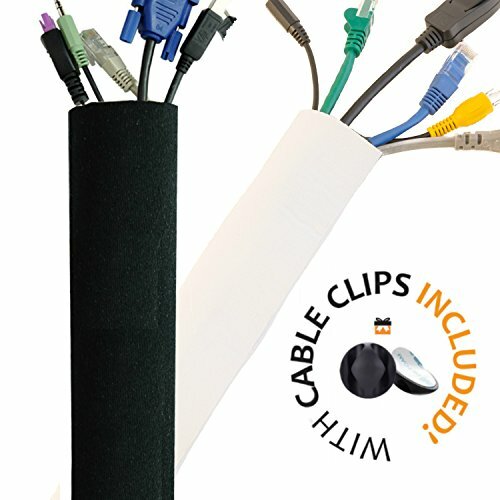 Cord Hider - Cable Hider - Wire Hider - Learn More - Top Review! 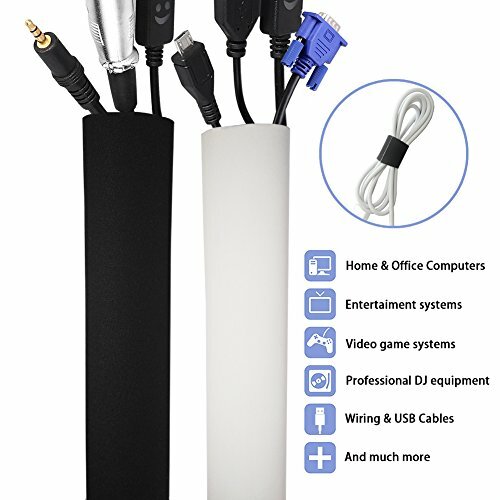 Compare prices on White Flexible Cord Concealer at ShoppinGent.com – use promo codes and coupons for best offers and deals. Start smart buying with ShoppinGent.com right now and choose your golden price on every purchase.